BowFlex LateralX LX3 Review by Industry Experts! Lateral Movement for Better Results! 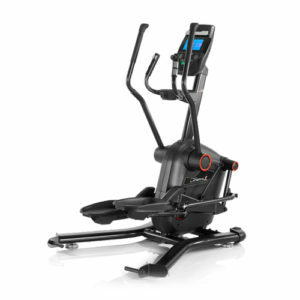 The LateralX series from Bowflex, is a new take on a traditional elliptical from a brand known for creating innovative new ways to work out. The LateralX machines are designed to help you train for real life, by moving in ways that are more like the movement that you do every day during normal activities. Your body moves in a wide variety of directions and the LateralX machines create a workout that does just that. On a traditional elliptical you are moving in one plane of motion. While your legs may be moving up and down and back and forth, they do not leave that one plane. The LateralX machines are different in that they add the side-to-side motion and a greater range of movement. This means that your legs are moving in three directions on the LateralX! And don’t forget the rest of your body! The machine also requires the use of handles that create a push-pull motion of your arms. This engages your arm, shoulder and back muscles. There are also alternative hand grips that put your body in a squat position to give you an even greater burn. These different movements and positions will have you engaging far more muscle groups than you would on traditional exercise equipment. 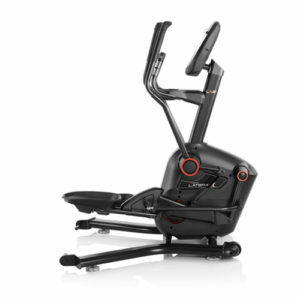 You may also want to check out the Bowflex LateralX LX5. Mid Week Sale Ends Thursday: Use the Promo Code on the Bowflex Website to SaveUse Code “TAX2019” for $100 OFF and $50 Shipping on the LateralX LX3! Are the Bowflex Claims Realistic for the LateralX? According to Bowflex, you only need to use the LateralX for 16 minutes a day to get the shredded body you’ve been dreaming of. For those concerned with cardiovascular health, this is actually less than the daily recommended time by the American Heart Association. Bowflex also features people in their videos that are dedicating more than 16 minutes a day on a single machine to their fitness. It’s safe to say that not everyone will look like the people in the Bowflex videos just by using their machine for 16 minutes a day. Using the LateralX machines as part of a larger overall picture is sure to help you reach your personal fitness goals. However, remember that it is only one part of the larger picture. Your diet and overall fitness habits will also play a major component to reaching your goals. Bowflex says that the LateralX machines burn 39% more calories in that same 16 minute window than traditional ellipticals. This information was concluded by the LateralX University Caloric Study. It may be worthwhile to note that the parameters of this study weren’t explained so we can’t verify these results. Lateral Movement – Incorporating lateral movement into your workout is undoubtedly going to work more muscle groups than traditional exercise equipment. This is also a natural movement for your body. You aren’t only moving forward and backwards when you step off of your machine or leave the gym. Those who suffer from hip pain may not be the best suited to the LateralX machine. It requires hip mobility to do the side-to-side motion. Plus those individuals may not be able to take advantage of the squatting position without causing themselves additional pain. The LateralX LX 3 has a fixed lateral range, so you aren’t able to adjust how far out the movement goes. The upgraded model, LateralX LX5 does offer an adjustable lateral range so that you can customize that to your ability. Low-Impact – Like a traditional elliptical, the low impact workout you will get on the LateralX LX3 is going to be good for those that suffer from knee pain or are rehabbing from an injury. 8 Resistance Levels – You can adjust the resistance levels on the LateralX LX3 to create more of a challenge for yourself or to further cater your workouts to your needs. This also gives you the option to do HIIT workouts based on your speed and resistance levels. 7 Workout Programs – If you are looking for a quick start to your workout that will target specific needs, you can choose from the 7 pre-programmed workouts to get yourself going. 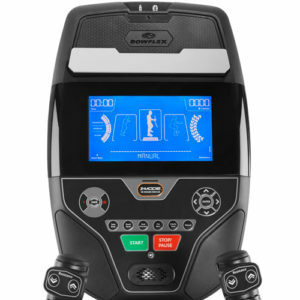 Integrated Heart Rate Controls – The heart rate controls on the LateralX LX3 are on the handles, which is convenient since this machine is designed for you to hold onto them at all times. 7.5” Backlit LCD Display – Considering the $1999 price tag on the LateralX LX3 and the trend toward larger displays we would expect to see a larger screen. However, the LateralX LX3 does have a media rack if you want to use a larger device for entertainment purposes. Premium Video Content – The LateralX LX3 comes loaded with 30 full-length workout videos so that you can follow along with a trainer to get the most out of your machine. You can choose from options like “LateralX Basics” and “LateralX Athletic Conditioning”, or use the videos off the machine with yoga and dumbbell workouts. The App – Use the Bowflex LateralX App to set your goals and track your progress. The app measures your progress from week to week so that you can see how you’re doing. Bowflex Radio – Your machine also comes with Bowflex Radio so that you can choose from tons of different playlists to keep yourself motivated. Warranty – The LateralX LX3 comes with a 1 year frame, parts and electronics warranty and a 90 day labor warranty. This seems really short for a machine that is going to cost you $1999. You may want to check out the LateralX LX5 for improved specs. Plus, you can buy the LX5 Performance Pack to get all the accessories you need at one shot! You may also want to check out the ProForm SMART HIIT Trainer Pro machne for a $500 savings. It doesn’t have quite the “lateral” motion as the LateralX, but it’s along the same line of thinking. Plus, you’ll benefit from the innovative iFit Coach Technology. Click here to shop for the Bowflex LateralX LX5 Performance Pack on Bowflex.com. To learn more, check out the Bowflex LateralX LX3 on Bowflex.com.